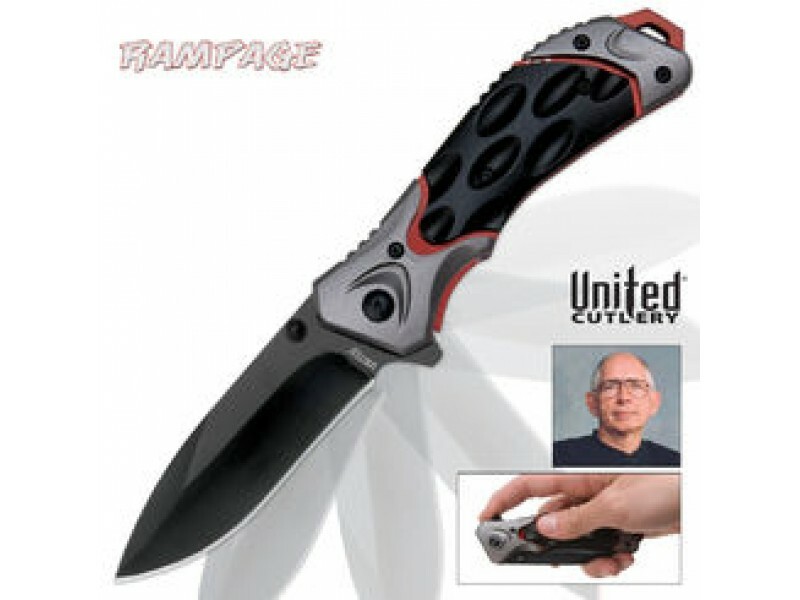 Buy United Cutlery Rampage Assisted Open Black Folding Knife , from Budk - RBC VISA for $15.99 only in My e-commerce. 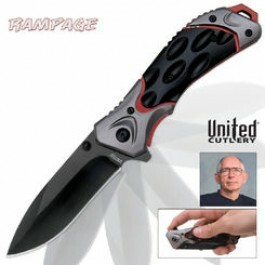 The Rampage Assisted-Open knife from United Edge opens with the speed of high-end knives at a tenth of the price. The 3 1/8" anodized stainless steel blade is razor sharp and offers a thumb stud and back-side spur for multiple opening options. A stainless steel pocket clip holds it tight in your pocket and one can attach a lanyard using the lanyard hole pommel. 4 1/2" closed.